North Korea held a military parade in Pyongyang Thursday, one day before the opening ceremonies of the Winter Olympics in South Korea. South Korean sources say tens of thousands of people were part of or attended the parade and gathering in the city’s Kim Il Sung Square. The event marked the 70th anniversary of the creation of North Korea’s military. The nation normally marks April 25 as the day when Kim, the grandfather of current leader Kim Jong Un, established the first revolutionary army. But the government announced last month that it was moving the celebration to February 8. Some observers say the North Korean move appeared to be an attempt to get international attention before the start of the Olympics in South Korea. 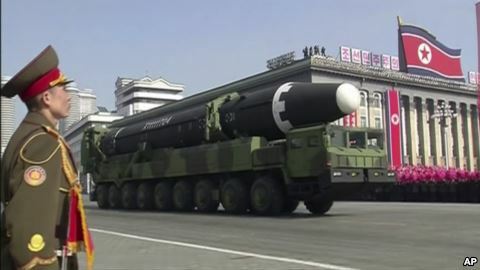 Military parades in North Korea usually involve goose-stepping soldiers and military vehicles carrying new weapons. The Associated Press reported that the parade on Thursday was shorter than earlier ones. It also had fewer missiles than the last parade, held in April 2017. At that time, North Korea showed off five new kinds of missiles. 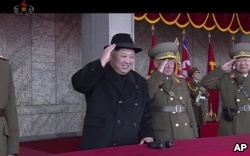 In this image made from video by North Korea's KRT, North Korean leader Kim Jong Un, center, attends a military parade in Pyongyang, North Korea Thursday, Feb. 8, 2018. In a speech Thursday, Kim Jong Un said the parade marks North Korea’s rise as a “global military power” at a time of what he called the “worst sanctions.” He called on the military to continue a high level of battle readiness against the United States and its followers. Kim’s comments were in line with his latest foreign policy moves. He has been making a diplomatic push toward South Korea since he offered to send a delegation to the 2018 PyeongChang Olympics. The North Korean leader made the offer in a New Year’s Day speech. South Korean President Moon Jae-in was quick to accept the offer. The delegation includes Kim’s sister and 22 athletes who will march with South Korean athletes under a unified flag. 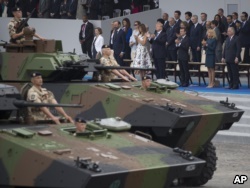 Military parade to come in the U.S.
President Donald Trump announced plans this week for a military parade in Washington, D.C. Trump said he wants a parade to top the one he watched during Bastille Day celebrations in France last year. The Defense Department is now working on plans for such an event. On Wednesday, Defense Secretary Jim Mattis confirmed that a military parade could be in the works. Mattis told reporters that the idea for a parade came from Trump’s love for U.S. troops. Not all Americans approve of the proposal. Paul Eaton served as a Major General in the U.S. Army. He is now retired. “This is not about the troops. This is about assuaging the commander-in-chief’s ego, and it’s a fragile one at that. He added that the troops have more important things to do. 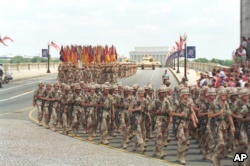 FILE - Troops march over the Memorial Bridge in Washington, D.C., as they head towards the Pentagon during the National Victory Day Parade on Saturday, June 8, 1991. Large military parades are rare in the United States. The most recent one was held in the early 1990s to celebrate U.S. troops after Iraq was defeated in the Gulf War. Critics say military parades are more often tied to dictatorships, like in North Korea and the former Soviet Union, which long ago held large military celebrations. Last year, Chinese officials invited President Trump to a military parade during his visit to China. Military parades can be costly. 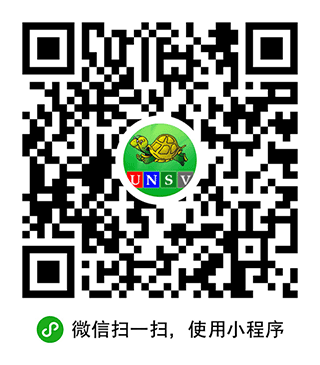 In the United States, finding the money for such an event could prove difficult. The Washington, D.C., mayor’s office has already said Trump will have to find the money for such an event. VOANews.com and the Associated Press (AP) reported on this story. George Grow combined and adapted the reports for VOA Learning English. Ashley Thompson was the editor.